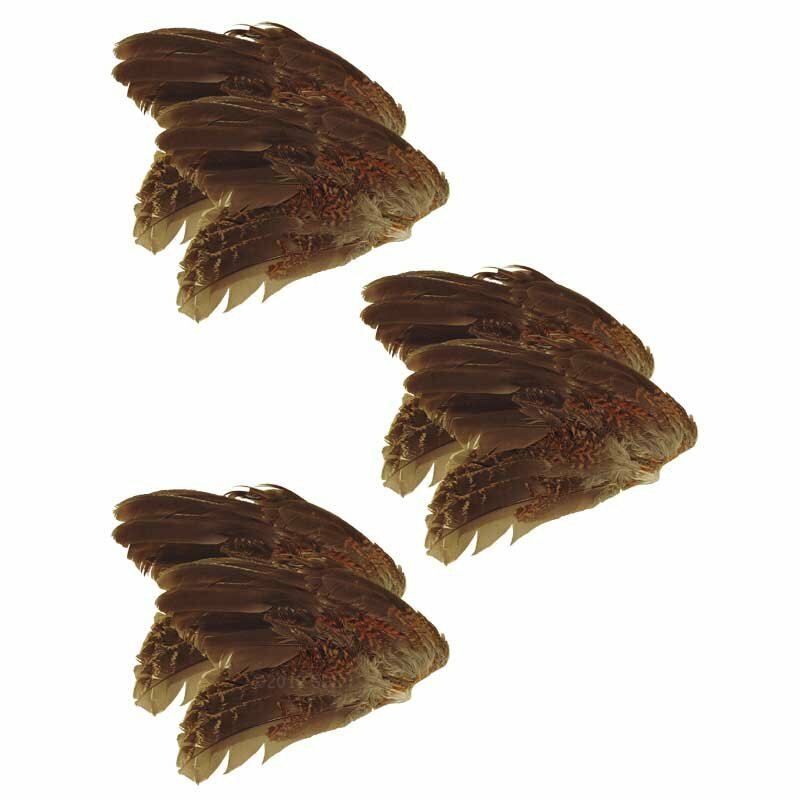 Quail Wings -- 6 Pack. $9.99. "They're a great training tool for my 15 week old Boykin Spaniel." They're a great training tool for my 15 week old Boykin Spaniel. "The quail wings from Gun Dog Supply are perfect!" The quail wings from Gun Dog Supply are perfect! Like always, the products and service are the absolute best. "Great learning tool for young pup." Great learning tool for young pup. "This is a great product for training!" This is a great product for training! "My pup is still young and able to hunt it up just by sniffing." I tied them to a bumper. My pup is still young and able to hunt it up just by sniffing. "The dog training is going great." The dog training is going great. "They last for at least 6 or 7 practices." They last for at least 6 or 7 practices. "These work great when I've run out from the previous season." These work great when I've run out from the previous season. "My 16 year old GSP got excited when I opened the box"
They came in great condition. Even my 16 year old GSP got excited when I opened the box. "New lab puppy loves to chase them." My new lab puppy just loves to chase them. "Great seller. Appreciate the fast service." Great seller. Appreciate the fast service. "My pup is loving the master got these." My pup is loving the master got these. They're fantastic training tools, and I appreciate the opportunity presented by Gun Dog Supply. "Had in less than a week." 1) Wanted pup to challenge his nose. Pheasant seem like they naturally have more scent. 2) Less enticement to pick at feathers (finer less tempting than pheasant). He will graduate to pheasant, but for now works great for feather intro and hiding for him to hunt em up on. "Nothing gets a puppy excited like a real quail wing." Nothing gets a puppy excited like a real quail wing. Good product, just a bit small. By the way, my dog found them and destroyed them before any training could take place. Will be ordering more! "Doing what they're supposed to do." Doing what they're supposed to do. "My pup thinks it is the best thing he has ever smelled." They were in great shape when I opened the package to use them. The dog thought they tasted great as he poached the bag from the bucket and ate a couple. Taught me to always put the lid back on. I will reorder in the off season to help keep him sharp. Attach the wing to dog dummy for better training.